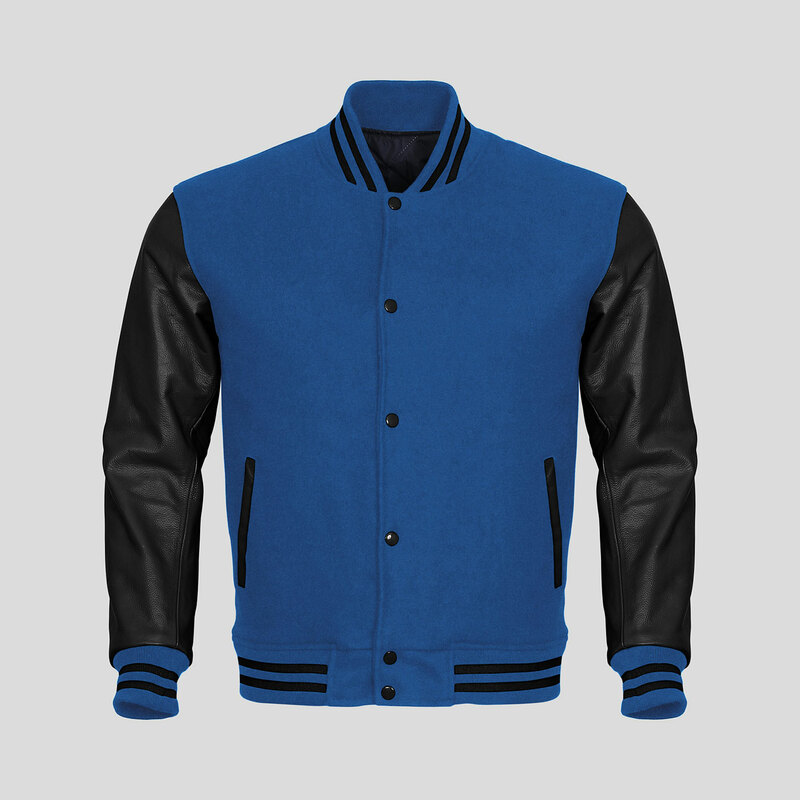 Customized high school varsity jacket available in Royal Blue Wool Black Leather Sleeves Varsity Jacket. This superb combination is suitable for high school students, fashionistas and supports lovers. 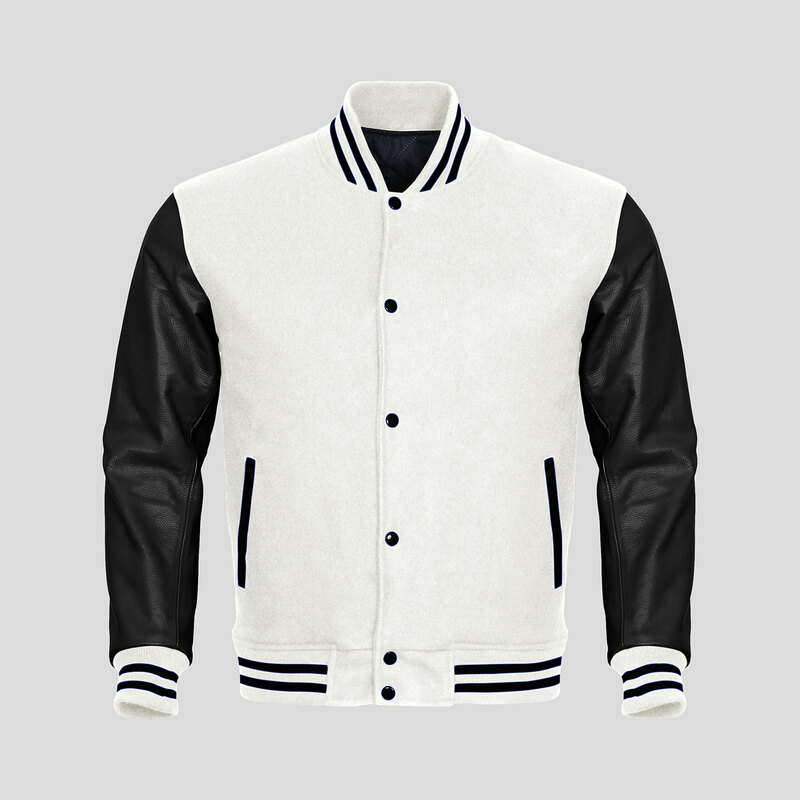 You can customize this varsity jacket with your choice of letters / embroideries and logos. if love wearing plain you can buy as it is. Jacket comes with quilted lining to keep you warm in the winter. 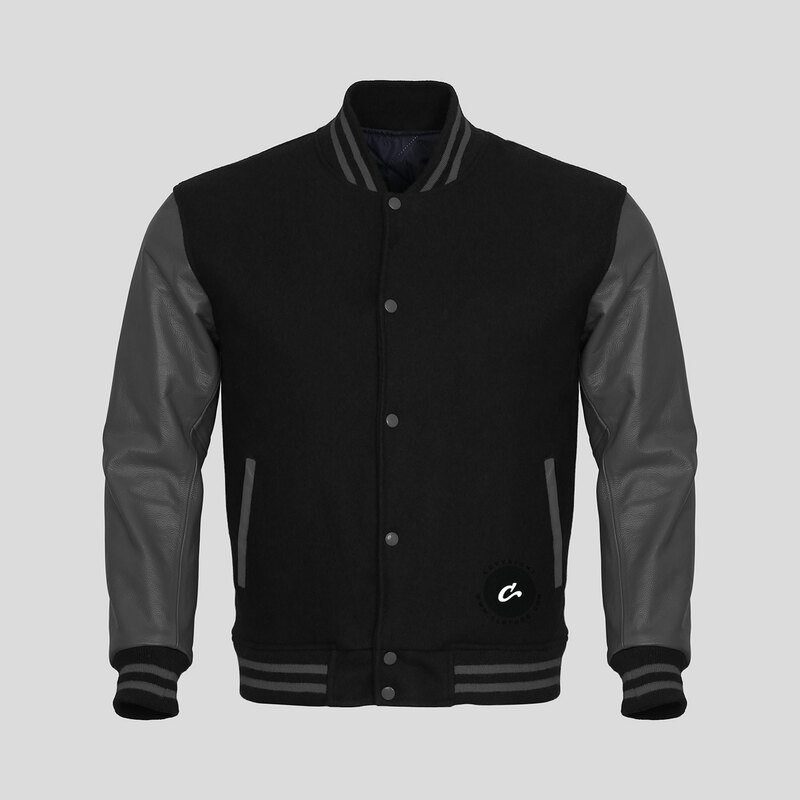 We add 1/2 zipper on the lining that allows you to add patches / embroiders later on. 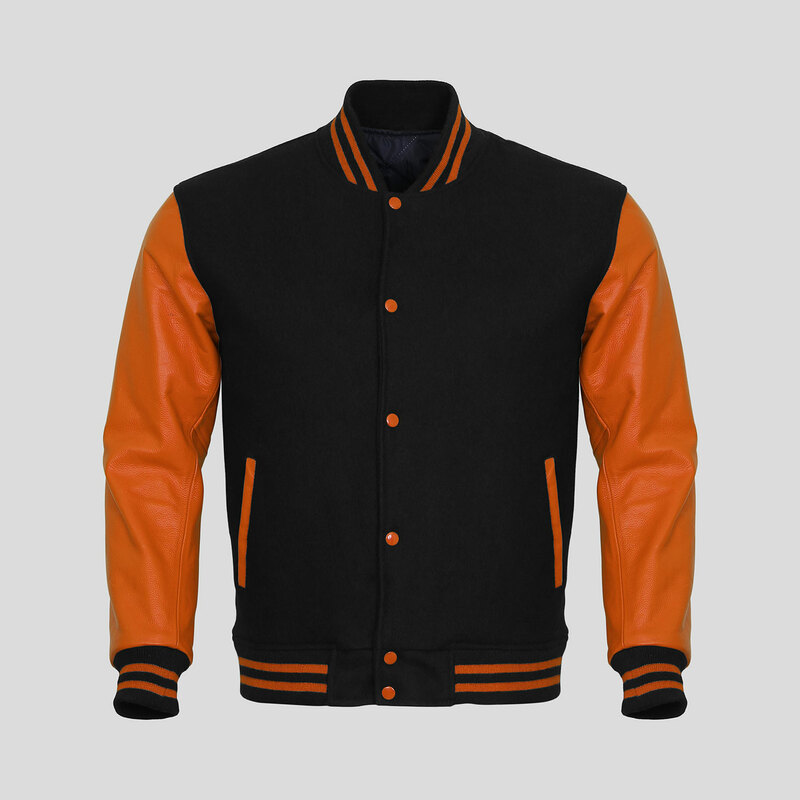 We have been manufacturing this authentic original classic varsity jacket for over 7 years. This high school varsity jacket features the finest melton wool and real cowhide leather. If taken care of properly your jacket will last for many years of wear and tear. You can add our felt lettering and patches for that personalized look. Note that this jacket has an inside semi zip-out quilt lining making it easy for you to add your own patches and embroidery if you want.